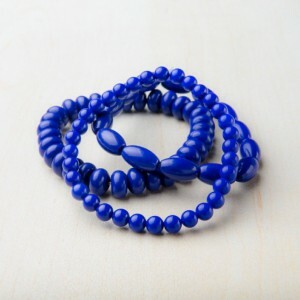 Fabulous blue agate bead stretch bracelet. Multi strand’s comes in a 3 piece set with different shaped beads. Strung on elastic, made by the girls we support in our Beijing safe house.